10 Apr 2018, 5:04 p.m. The US Mint has reported significantly poorer sales figures for March 2018 compared to previous months and the same time last year. Gold Eagles had their worst month ever, selling 3,500 ounces compared to 5,500 in February and down from March 2017’s sales figure of 6,415 ounces. Silver has behaved equally as bad for the US Mint, with the lowest sale figures since 2007. March 2017 saw the Mint sell 1.6 million Silver Eagles to authorised purchasers and wholesalers, but they only managed 915,000 last month – a 43% drop in sales one year on and a 2.9% drop from this February. 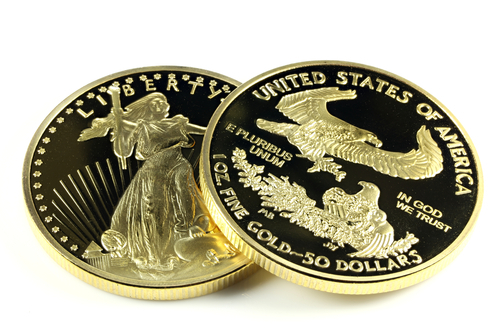 The Silver Institute reported in their Market Trends for 2018 that the US market was unique in its weakness for silver coin demand due to the rapidly rising stock markets. Interest in the Dow Jones, S&P 500, and the Nasdaq pulled a lot of investor attention away from bullion and cryptocurrencies and back into stocks. Interestingly, the Perth Mint in Australia reported a similar drop in silver coin demand but a rise in gold sales for last month. An article from the Reuters news agency detailed a 13% rise in gold sales for the Australian Mint and a 34% rise compared to March 2017. It’s unknown if this rise in sales is due to increased production or new releases such as the Perth Mint’s new rectangular gold dragon coin. The Australian Dollar has stayed roughly even over the past year against the US Dollar, so that can be dismissed as a factor influencing a shift in investor interest, even with the USD weakened. According to our own sales figures, demand for American coins compared to those from Australia is still far higher; for every 100 silver Kangaroo or Koala coins sold by us we sell over 1000 silver Eagles. Gold is a little closer, with 42 gold Eagles sold for every 10 gold Nuggets. This data is subjective, but it does show that interest in US coins does remain. The question that needs to be answered is whether the drop in sales is simply an economic reaction or a wider cultural shift. Some experts have blamed Generation Y (1980s and 90s – “Millennials”) and Generation Z (2000s onwards) for a lack of interest in bullion as part of a cultural shift away from hard currency, while other analysts point to market volatility dampening interest while people wait to see how fiat currencies and the stock markets behave in the face of trouble like the looming US/China trade war. Only time will tell which is the correct answer.